Advance our understanding of wildlife and the processes that threaten wildlife through research. AREPH treats sick and injured wildlife brought in by the general public and wildlife carers and was designed to house a broad spectrum of Australian species while minimizing their stress and preventing the transmission of disease. AREPH works closely with registered wildlife groups such as the Wildlife Information, Rescue and Education Service (WIRES) and the Sydney Metropolitan Wildlife Services (Sydney Wildlife). Once medical treatment is performed and the animal recuperates, the animals are released directly back to their original home range. If they require longer term rehabilitation they are cared for by trained wildlife volunteers until they are ready for release. AREPH has a strong research program which is focused on emerging diseases and their impact on wildlife, conservation of iconic Australian species, and improving the health of exotic pet animals. AREPH relies on public donations to provide this important free service. Help us care for sick, injured and orphaned wildlife with a tax deductible (over $2) donation. To help AREPH care for wildlife, make an online donation here. Simply select 'Wildlife Health' on the University of Sydney's School of Veterinary Science Alumni and Giving page. Alternatively, complete our AREPH Gift Form (pdf) and post your donation to the address provided on the form. Even if you cannot make a donation, there are other ways you can help our wildlife. Learn more. Supported by public donations, Sydney University’s Koala Health Hub treats koalas and undertakes research on koala diseases. The initiative provides training to future koala veterinarians, researchers and carers through scholarships and training workshops. 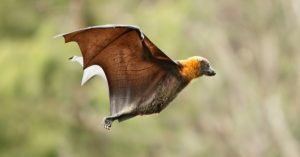 As beautiful as bats are, they can also carry diseases such as Lyssavirus. Lyssavirus cau ses illness in people that is indistinguishable from classical rabies. Being a university teaching hospital we have a high turnover of students coming through our clinic each week who may not have the appropriate vaccinations. Unfortunately, for this reason, it is University policy that we do not see bats here at AREPH. Lyssavirus can be transferred to humans through the tiniest scratches or bites, so if you do find an injured bat do not touch it. Instead, cover it with a box, washing basket or something of the like to keep it contained (if possible). Please then contact a wildlife organisation, who have specially trained and vaccinated members who will be able to come and assist you. 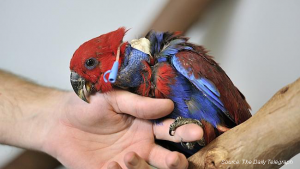 You can contact WIRES on 1300 094 737 or Sydney Metropolitan Wildlife Services on 02 9413 4300.